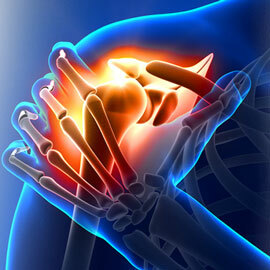 Rheumatology is a rapidly revolving medical specialty in India. There are very few good centres for the same in the country. Gujarat, despite its fast growth rate, has an absolute dearth of superspecialists practicing rheumatology. Dr Jivraj Mehta Smarak Health Foundation (Dr Jivraj Mehta Hospital) can boast of the only rheumatology department in any corporate hospital of Gujarat. has the Dr Jivraj Mehta Smarak Health Foundation (Dr Jivraj Mehta Hospital)’s commitment to heathcare is evident in the fact that it has qualified specialists trained at India’s leading Clinical Immunology Department. Treatment of all kinds of rheumatology cases including collagen vascular diseases, various arthritis, vasculitis, soft tissue rheumatism (aches, myalgias, backaches) PUOs, connective tissue diseases, anti-phospholipid antibody syndrome etc.